Great for any Heat Transfer Unit! 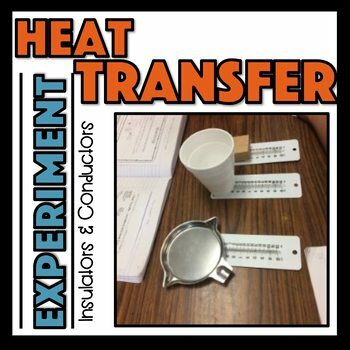 In this experiment, students explore heat transfer (conduction) through different materials and are introduced to thermal conductors and insulators through thought provoking phenomena. Students first observe metal, wood, and Styrofoam and feel each material and describe the temperature. Based on this, students predict which material will have the highest and lowest temperature. 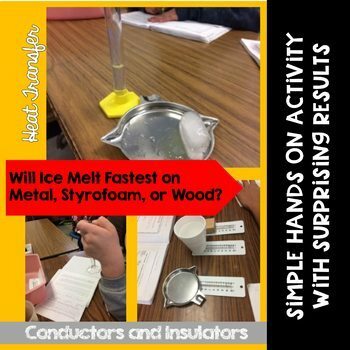 Students then measure the actual temperature of the materials (they have been sitting at room temperature) and are surprised to find that all three materials have the same temperature even though the metal felt the coldest to the touch. This blows some of the students away while others are convinced their thermometers are not working. After reading about thermal conductors and insulators, student explain why the ice melted the fastest on the metal. Like the Resource? Leave feedback!